Who would ever have imagined just a few short years ago that I would have started a company of elegant portion control tableware, Livliga, and one of my glasses would be a finalist in the Martha Stewart Made in America contest!?! It has been an amazing journey developing Livliga. It all started with a conversation at the kitchen table. Then, after a lot of research, I sat at the same kitchen table with my measuring cups, stencil paper and a sharp pencil to start experimenting with possible designs for our dinnerware line. It was a concept, hardly a line of tableware, at that point. Indeed just circles on a piece of paper. I knew I wanted to create right-sized dishes that had measurements built into them...but they had to be subtle. In fact, they had to be beautiful. I knew it had to be something I would want to use everyday, at every meal, and with my family and friends. Nothing existed out there that even resembled what I was talking about. I wanted everything I used to be appropriately sized and part of a suite so it all matched in design and feel, even if its purpose was portion control. Since I had no reference point I had to draw what I was imagining. Then I went to the local "color your own" pottery store to fashion what I wanted to create. It was hardly elegant but it was fun and it did incorporate the measurements I wanted that would help me with the servings sizes I should use for the different food groups, according to the USDA. Then there was more I learned about how design, shape, size and color could affect us psychologically, in a positive way, to help us in feeling satisfied with right sized amounts of food....instead of the super-sized amounts we are used to. I wanted to incorporate those elements into the tableware too. That required more experimenting. Once I knew it could be created and that it worked because each of us using my hand-painted portion control dishes lost weight, I went in search of an artist to take the VisualQs concept to the next level. Tim Foss is a very talented artist. The best part was he took my concept seriously and was actually very excited about the vision of Livliga. His genius has helped us create beautiful tableware that supports people in right-sized eating...and drinking... as part of a healthier lifestyle. Today we have two designs of dishware available, Halsa and Vivente, with a third near completion. 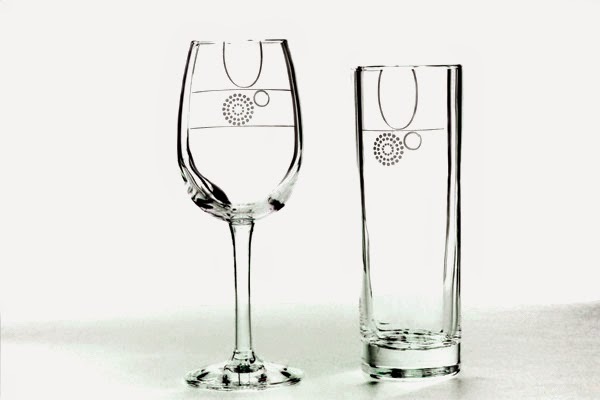 We have another design, Aveq, for our glassware, which includes our "Made in America" wine glass, and serveware. This design adds a fun eclectic aspect to our line. In production, to be launched at the beginning of the New Year, are our LivSpoons. They are a merger of a measuring cup with a serving spoon. They will come as a set of four in different measuring sizes-- 1 cup, 3/4 cup, 1/2 cup and 1/8 cup to go with the typical serving sizes of the different food groups. 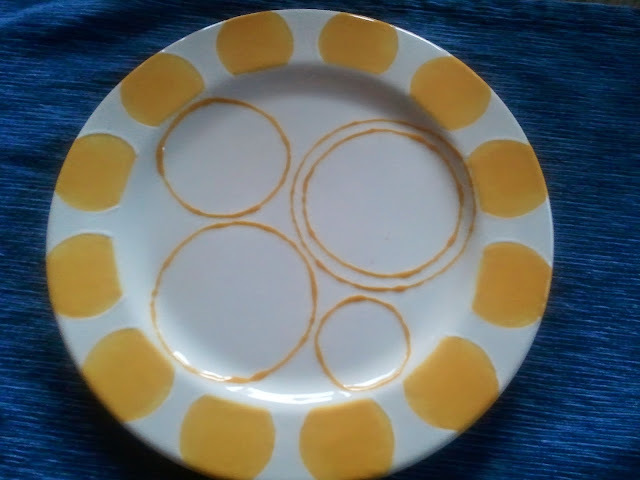 And, of course, they map to the circle measurements incorporated in the tableware. It is incredible to realize that this July we received a patent for our concept of elegant portion control tableware. 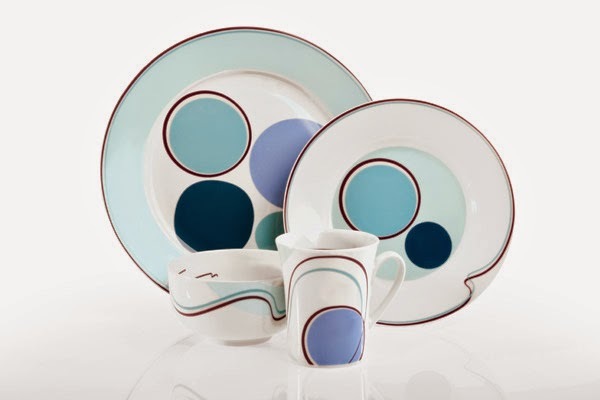 And now, thanks to the Martha Stewart Made in America contest, Livliga is being recognized for our design. There is something truly wonderful about a portion control tool being made a Wild Card Finalist in a design contest. And why not? Shouldn't everything we use, regardless of purpose, be both useful AND beautiful? Now we need your help to vote for our product to become one of the award winners! You have until October 13 to show your support. Each day you can cast 6 votes. The more you vote the more chance you have to win your own "award" of $300 from Martha Stewart. Click here to vote for Livliga. As a fledgling start up working hard to make a positive difference in people's lives we can't thank you enough for your help. Let's make the world a little more beautiful and a lot healthier by spreading the word about Livliga and casting votes!